This is a bit of an underwhelming finish to a somewhat surprising slate of nominations. “Cold War” broke through with a Best Director nomination, likely putting it closest to this list, while “Widows,” “Leave No Trace,” “Eighth Grade,” and “Crazy Rich Asians” all ended up with zero nominations (listed in descending order of my enthusiasm for them). “If Beale Street Could Talk” managed just three bids, which is a real shame given how close it should have been as the only snubbed Globe nominee from the corresponding race, while “Mary Poppins Returns” earned five. Another onetime frontrunner, “First Man,” got just four nominations. Green Book hung in there despite missing out on a Best Director bid, demoting its chances considerably after Globe and PGA wins. A Star is Born suffered an unfortunate snub for director Bradley Cooper, which means its onetime dream of taking the top prize may be negated. 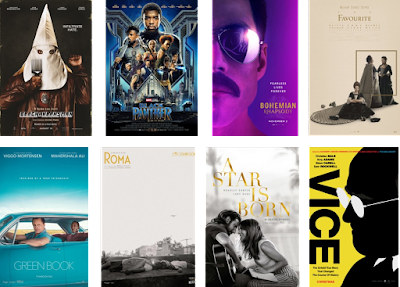 Vice did manage to score both Best Director and Best Film Editing bids despite lackluster impressions of the film, while Bohemian Rhapsody, the Globe winner for Best Motion Picture – Drama, did get a Best Film Editing mention even while it puzzlingly missed out for its costume design and makeup and hairstyling. BlacKkKlansman did about as well as most expected, while Black Panther still feels like it underperformed while managing to earn seven nominations. 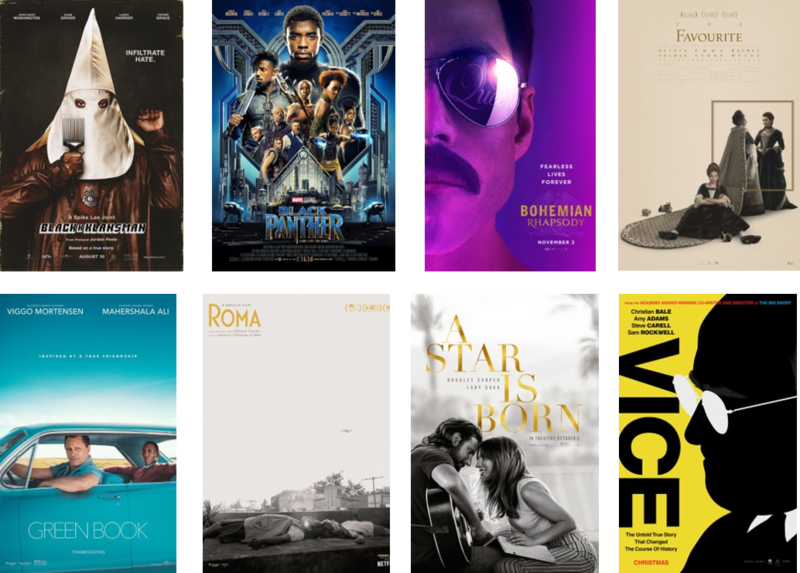 That brings us to the nominations leaders: The Favourite, which rebounded against any doubts of its chances, and Roma, which becomes only the ninth foreign film to be recognized in this category. Those two are looking like the most invincible at this point, and I’d be perfectly happy with either to win. My current bet to win: After everything today, I continue to back Roma.